With 5,000 acres of pristine coastal expanse surrounding The Inn & Club at Harbour Town, there's little reason to stay inside. 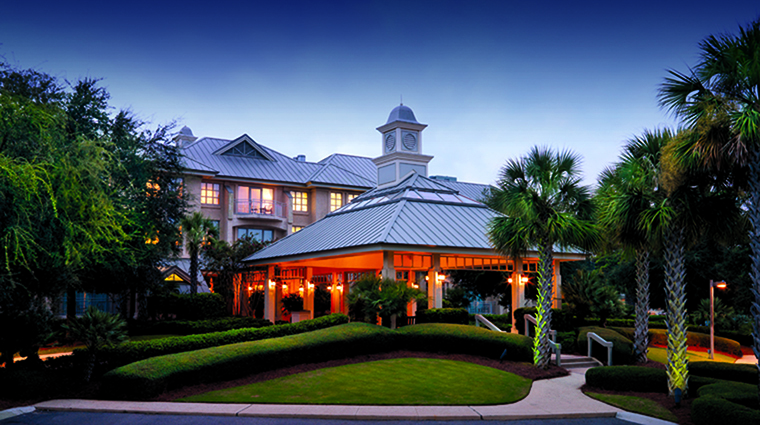 Part of The Sea Pines Resort (a mixed-use hotel and residential community), the Hilton Head inn offers five miles of picturesque private beach, 15 miles of bicycle trails, an equestrian center, 23 tennis courts, a 605-acre forest preserve, tons of on-the-water activities (yoga paddleboarding, cruises, waterskiing, etc.) and much more. 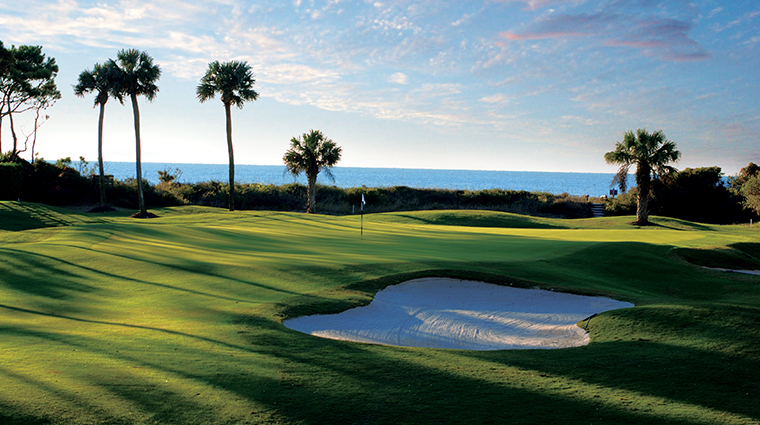 However, the Forbes Travel Guide Four-Star hotel is probably best known for its three golf courses — Heron Point by Pete Dye, the Ocean Course and Harbour Town Golf Links. The latter hosts the PGA Tour’s annual RBC Heritage tournament in April, usually the week after the Masters. With a full list of activities that have nothing to do with birdies and bogeys, The Inn & Club at Harbour Town is unquestionably the place to bring the family. The hotel’s attractions include concerts underneath the towering Liberty Oak near the marina, or trips up to the top of the iconic red-and-white-striped lighthouse. The all-new Harbour Town Clubhouse, which sits about a five-minute walk from your room, features oil paintings of past winners and has a men’s locker room so pristine that it will make a guy with a 36 handicap feel like Jordan Spieth. The recently opened Plantation Golf Club equally impresses with a spacious changing area, exposed brick near the pro shop and a sense of Lowcountry chicness oozing between every slab of hardwood on the 4,500-square-foot porch — Sea Pines’ greens can dazzle all year long. The Hilton Head hotel provides planned kiddie outings — spooky nighttime ghost stories in the forest preserve, sand dollar painting in the beachside craft cove and group fishing excursions. Be sure to make use of the Inn’s complimentary beach concierge service that will not only set up towels, chairs and umbrellas on the sand for you, but will happily transport you between the water and hotel as well. 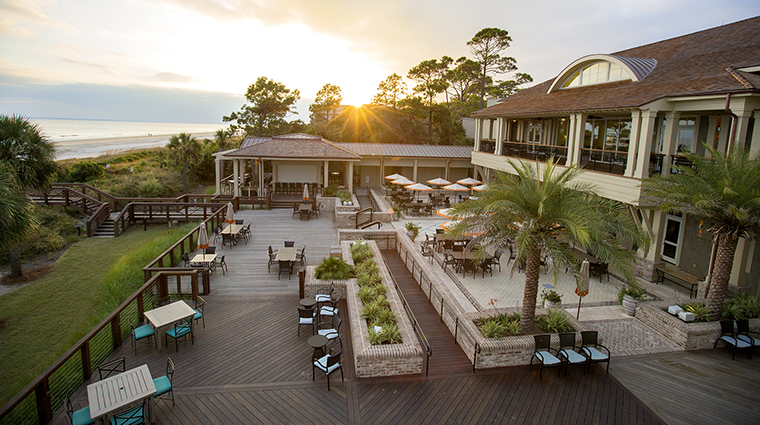 With all the offerings at the just-debuted Sea Pines Beach Club — the attraction has a retail shop, grab-and-go Surfside Market, Ocean Lounge and spectacular seafood eatery Coast — we’re not sure that you’ll ever want to leave. The understated, elegant décor draws on the nearby waters for inspiration in each of the hotel’s 60 rooms and one suite. Pale teal and cream linens, pillows, draperies and carpeting brighten up things around the bed. Bathrooms feature granite vanities, glass-enclosed showers and Molton Brown toiletries. 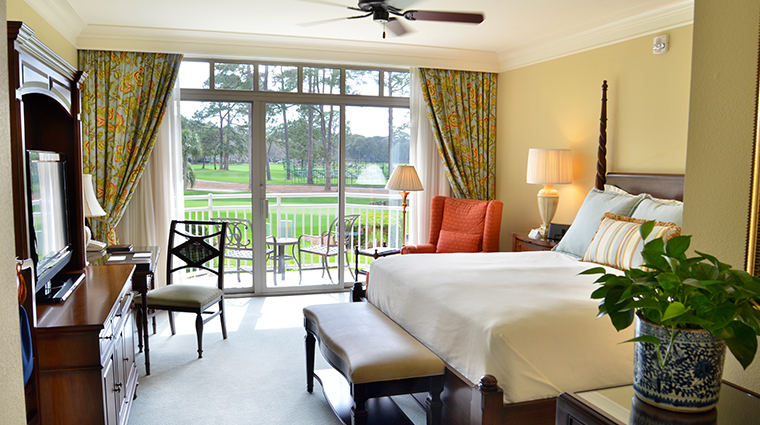 Many rooms also provide a balcony more than big enough for two people to comfortably look down at other guests frolicking in the pool or gaze off into the natural wonderment of the greens at Harbour Town Golf Links. 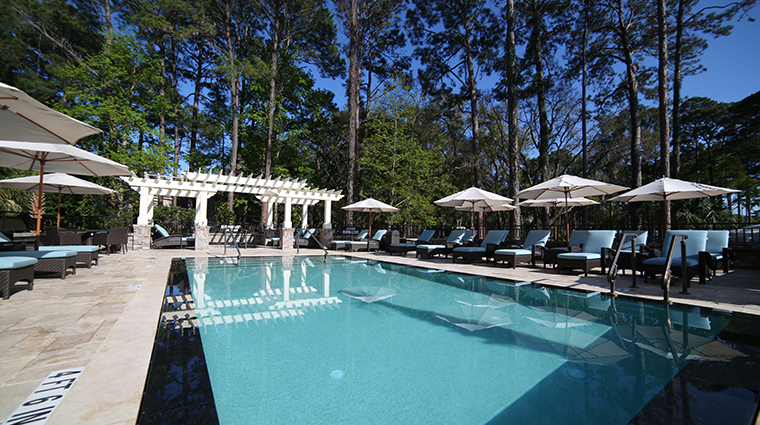 The Sea Pines Beach Club alone features five restaurants, ranging from a full-service restaurant to a pool bar. 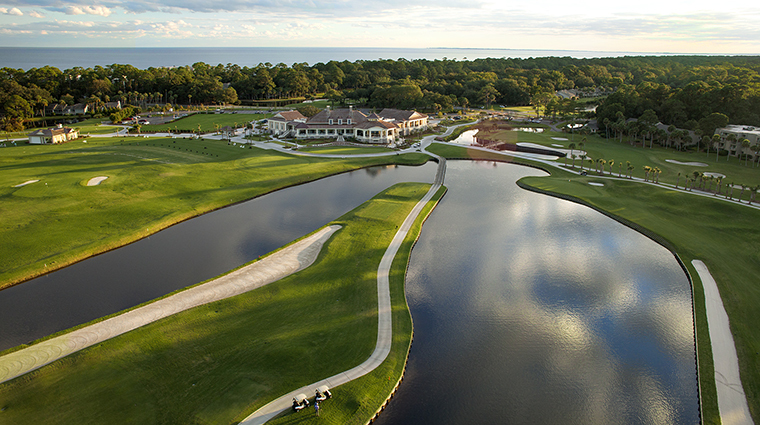 Cleverly named Links overlooks the golf greens and serves fresh seafood, craft beers and specialty cocktails. The Quarterdeck, Waterfront Dining is named for its view as well: Calibogue Sound. The restaurant even dedicates a section of its menu to a fresh fish market. Live Oak is your best bet for drinks, with a signature bourbon collection, local brew selection and extensive wine list. Harbourside Burgers & Brews’ casual dining offers a great place to bring the kids for burgers and fries, while the Harbour Town Bakery & Café offers baked goods and paninis.